In 2007, China firmly established itself as the driver of the global methanol industry. The country became the world’s largest methanol producer and consumer. China also leads the world in the use of methanol as an alternative transportation fuel blending nearly one billion gallons of methanol in gasoline. Taxi and bus fleets are running on high methanol blends (M-85 to M-100), and retail pumps sell low level blends (M-15 or less) in many parts of the country. At the same time, China is developing production capacity for dimethyl ether (DME) – using coal-based methanol as a feedstock – for markets as a blendstock with liquid petroleum gas (LPG) used for home heating and cooking and as a diesel substitute for buses. Chinese Premier Wen Jiabao recently visited a methanol plant in landlocked Ningxia Hui Autonomous Region in northwest China where he urged workers to work hard to build up an industrial base that meets the standards of scientific development. Shenghua Group’s Wu Xiuzhang told China’s Xinhua news agency that the country’s methanol and DME industry is developing by “leaps and bounds” and may lead to overcapacity. China’s methanol production capacity has grown from 6.16 million tons in 2003 to an expected 20.6 million tons in 2008, with actual anticipated output of 13 million tons. By 2010, China’s methanol production capacity could reach 37.24 million tons. To put this in perspective, total world production capacity excluding China is expected to be roughly 40 million tons this year (about 13.3 billion gallons or 50 billion liters). DME production has also increased from 32,200 tons in 2002 to 1 million tons in 2007. Wu cautioned that “The methanol fuel gas [has] not reached the standard for auto use, and there is still a long way to go for DME to substitute LPG. Under such circumstances, we must not ignore the overcapacity issue.” Research and Markets, an international research firm, reports that demands for methanol fuel as M-15 and other downstream products will increase China’s consumption of methanol at an annual average growth rate of 16.6% between 2008 and 2012, which will help sustain high methanol prices in the country. For more than a decade, provincial leaders in coal producing provinces (Xinjian, Shanxi, Shaanxi, Henan, Inner Mongolia, Beijing Shi, Hebei, Anhui, Guangdong and Sichuan) have been developing methanol fuel demonstration programs. 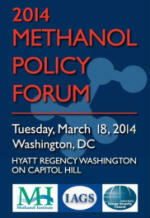 These efforts have involved methanol producers, automakers, and academic institutions. 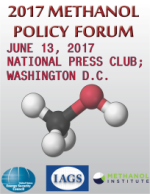 In September 2006, eight leaders provided a report to the Chinese President Hu Jintao entitled “Suggestion on Promoting Methanol Fuels to Replace Gasoline and Diesel Fuel.” President Hu approved this “Suggestion” and directed the powerful National Development and Reform Commission (NDRC) to explore the use of methanol fuels. The NDRC now considers coal-based methanol to be a strategic transportation fuel and has directed the development of national methanol fuel blending standards. Those provinces in their “official” trial stage have already adopted their own methanol fuel specification to allow the demonstration of methanol vehicles. Today, methanol sells for roughly RMB$2,500 (US$350) per metric ton, while wholesale gasoline costs nearly three as much at RMB$7,000 (US$965) per metric ton, which encourages the “unofficial” use of low level methanol fuel blends even in parts of the country that do not have a methanol fuel specification. According to Mark Berggren, Managing Director of Methanol Market Services Asia, 2.71 million metric tons (nearly one billion gallons) of methanol was blended with gasoline in China last year, with an additional 800,000 metric tons of methanol fuel demand growth expected in 2008. China has over 200 methanol plants, with a total production capacity in 2007 reaching over 14 million metric tons (4.7 billion gallons). Many of these are smaller plants that are closing as larger, world-scale facilities are built. While demand for tradition methanol markets (formaldehyde, acetic acid, MTBE which is a gasoline additive) are increasing at double-digit rates, the tremendous growth in new capacity will make available large volumes of methanol for fuel markets. If just 5% of China’s cars used M-85 or M-100 fuel and another 15% use M-15, China would displace 13 million tons of gasoline (4 billion gallons) and significantly reduce its dependence on imported oil. In 2007, China’s imported 47% of its oil, and this year the country passed Japan to become the world’s second largest oil importing nation only behind the United States. As Prof. Ni Weidou of the Tsinghua University-BP Clean Energy Research and Education Center told Interfax-China, “The clock is ticking, and China needs to start adopting alternative fuels now in order to lessen its dependency.” Last year, China banned the use of grain for ethanol production to ensure food supplies. 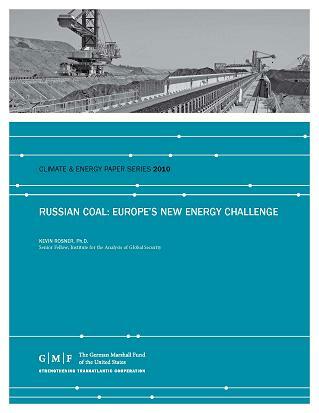 China does have the world’s third largest coal reserves – 126 billion short tons – behind the United States and Russia. China is now the world’s largest coal producer and consumer, and has begun a strategic shift to produce chemicals and fuels from coal rather than oil or natural gas. The production of methanol from coal gasification is a mature technology. In the United States, Eastman Chemical produces methanol from coal gasification at a plant in Kingsport, Tennessee that was built with support from the U.S. Department of Energy (DoE). Based on this experience, the U.S. DoE estimates that methanol can be produced from coal for as little as 50¢ per gallon. In China, production costs from coal are generally RMB$800-1,200 per metric ton of methanol (US$110-165/metric ton, or 33¢ to 50¢ per gallon). In addition, coke furnaces in China generate 80 billion cubic meters of waste gas each year, enough to produce 40 million metric tons of methanol, and significantly reduce pollution in the coal-producing regions. Coal-bed methane deposits of 30,000-35,000 billion cubic meters in China represent another significant energy resource as well as a hidden danger that claims miner’s lives each year. Just 1000 cubic meters of coal-bed methanol can produce one metric ton of methanol. China’s automotive industry is already stepping up to meet this challenge. The country’s fastest growing independent automaker, Chery Automobile, has recently completed demonstration work on 20 methanol flexible-fuel vehicles – capable of operating on methanol or gasoline – now ready for full-scale production. Shanghai Maple Automobile has announced plans to build 2,000 methanol cars in 2008. Chang’an has introduced the methanol-fueled BenBen car. Greely Automotive has put its Haifeng methanol car into production. Shanghai-based Huapa Automotive has built a number of methanol fueled cars. Shanghai Automotive Industry Corporation, one of the big 3 automakers in China, is developing a number of methanol-fueled cars. In addition, a number of smaller companies are converting large numbers of cars to methanol operation. High Proportion –This is a M-70 to M-85 (high methanol content) standard. A draft is currently circulating with a number of experts in China, and is expected to be presented in final form to the NDRC by the end of 2008. M-15 – Expected to be completed by June 2009. The 15% methanol component also would include an additive/co-solvent. Convertible Methanol Fuel – Also expected to be completed by June 2009. This is an M-100 standard that would set the specifications for neat methanol to be used as a gasoline blendstock at the M-15 level. The MI delegation also visited three cities in Shanxi Province, touring bus and taxi fleet depots and fueling facilities. Mr. Peng Zhigui, who runs the provincial methanol fuel office in Taiyuan and is a former Vice Governor of Shanxi Province, recently told the Financial Times, “Shanxi is doing the best job in China in promoting the use of methanol as a fuel. 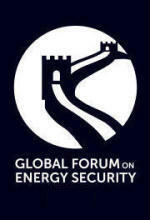 Our aim is to solve the problem of China’s oil shortage. We are creating a new kind of energy.” Shanxi currently has 3 million metric tons of methanol production capacity, with another 5 million metric tons under construction. With plans to add an additional 20 million metric tons, Shanxi anticipates reaching as much as 28 million metric tons of coal-based methanol production in the next five years. Shanxi Province includes 11 cities with a total population of 33 million people. The Shanxi Provincial government provides subsidies to taxi and bus fleet operators to convert their vehicles to M-100 operation. There are now 200 buses and 1,000 taxis operating on M-100 throughout Shanxi. The city of Changzhi operates 80 buses on M-100, out of a total fleet of 500 buses. Each bus has a 200-liter fuel tank, which provides a range of 400 kilometers on methanol. There is a diesel pre-heater on the bus to warm the methanol and assist with cold starts. When the MI delegates spoke with one of the bus drivers, he was very enthusiastic about the methanol fuel. In Jinzhong, 110 taxis operate on M-100, out of a total fleet of 300 taxis. There are plans to convert the entire fleet to M-100 operation. There is a coke-based 40,000 metric ton methanol plant in Jinzhong that provides fuel for the taxi fleet and consumer purchases of M-15 fuel. M-15 was first used in 2003 in four cities, and is now sold in all 11 cities across the province, in stations operated by PetroChina and Sinopec. On October 13-16, 2008, Shanxi will showcase their methanol program by hosting the 17th International Symposium on Alcohol Fuels being held at Taiyuan University. The organizers anticipate over 200 international delegates representing government, industry and academia. They are also planning a technical tour to a fueling station and a methanol production plant, and will feature a methanol vehicle exposition. In December 2004, the China Association of Alcohol and Ether Clean Fuels and Automobiles was formed by the China Petroleum and Chemicals Association and the China Association of Automobile Manufacturers. A non-profit organization that advocates for the use of methanol, ethanol and dimethyl ether fuels, the association has over 100 members representing methanol producers, fuel retailers, automakers, academic institutions and governmental agencies. On December 1, 2007, the Methanol Institute signed a Memorandum of Understanding to develop a framework for a cooperative relationship between the two organizations during a ceremony held in Shanghai, China. The agreement calls for a broad exchange of information between the two associations to help expand the market for methanol as a transportation fuel. Gregory Dolan is Vice President for Communications and Policy at the Methanol Institute, which serves as the trade association for the global methanol industry.